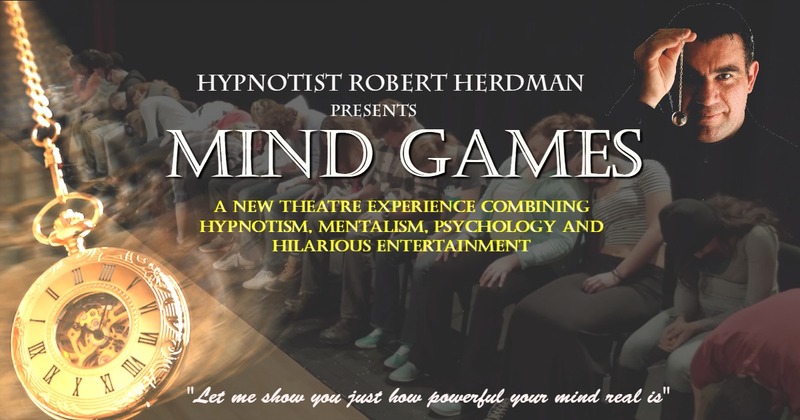 Mind Games is a brand new theatre show performed by Master Hypnotist Robert Herdman. Robert will take you on a journey of the mind using Persuasion, influence and imagination. Through the process of Psychology, Hypnotism and Hilarious Entertainment, Robert brings home a serious message showing how easily we are influenced by the world around us without even being aware. Audience member will not only be amazed at the content of the show but will be invited to take part on stage as they are shown how to use certain aspects of the nights activities to use in everyday life. An amazing experience that you will always remember and never forget.